Cassie and I have for a while now been wanting to move out of Illinois, but for various reasons have stayed put here in Peoria. We’ve been pretty fortunate the past few years, which has put us in a pretty good position for finally moving. For us, it is obvious why Texas is the best choice but seeing as we do get asked pretty regularly “Why Texas” – it seems like a good reason for a blog post. So to start with, some of the bigger reasons we are moving from Peoria. These are not the only reasons, there are a lot of reasons that built up to the desire to move, but these stand out especially. Peoria is not so great for technology. People are trying, sure, but my own personal opinion is that while there are some very passionate people here who I would love to see succeed in making Peoria a more tech savvy place, I think the rest of Peoria simply does not care. Maybe it is just me, but having an international airport that has zero international flights, and services nothing but regional planes that I do not fit in comfortably, is kind of sad. In the past few years I’ve flown around a bit more both for personal and business reasons, and fully expect this trend to continue upwards. Even to take a train I have to drive an hour away. We do enjoy traveling around, and would like to continue to enjoy traveling. Unfortunately a lot of small things all build up into a larger issue of it is hard to travel from Peoria. I don’t care for the cold. Neither does Cassie. It’s not terrible, but it’s not enjoyable. Some people prefer cold over heat, but personally I can tolerate heat better than cold. Not to mention you don’t have to shovel heat out of your driveway after an extra hot day. It was pretty easy to decide on Texas, pretty obvious to be honest. Imagine being untethered and having the ability to move anywhere you chose, then just funnel down the options from there. We don’t plan to move to a new country, so we’re still in the United States, going further, we are sticking to the contiguous 48 states. We are trying to find warmer weather, so we’re looking at the lower half the country. I am ok with heat, but don’t enjoy humidity so much. So not the south-east. If you’re following along with your map up to this point all that is left is from the edge of California to the edge of the south-east. Really at this point it is a no brainer because who would enjoy living in a desert? Texas is the only good state to live in. Knowing that we are looking for easy travel and technology, that focuses our search to bigger cities in Texas. We removed Houston early on because it is still pretty close to the south-east, and that leaves Austin, San Antonio, and Dallas-Fort Worth. At the end of the day of those three choices, we chose Dallas-Fort Worth. The combination of easy travel and the very tolerable winters and summers were major factors. Relocating like this it is a gamble with both buying and renting. On one hand renting is less risk, but at the same time houses in DFW keep getting more and more expensive. In some cases over $100,000 more in just a few years. We could buy a house and it could either continue to increase in value (win) or it could lose value. We’re betting on the housing market to continue to rise. This will be our first home we buy, so not only are we relocating to a totally new state, we are getting our first mortgage at the same time. This has been a long process so far but we are finally to the point we are starting to look more seriously at houses, and could make a serious offer. This means we could be moving in a month, could be a few months. It all depends on when the right house shows up for us. 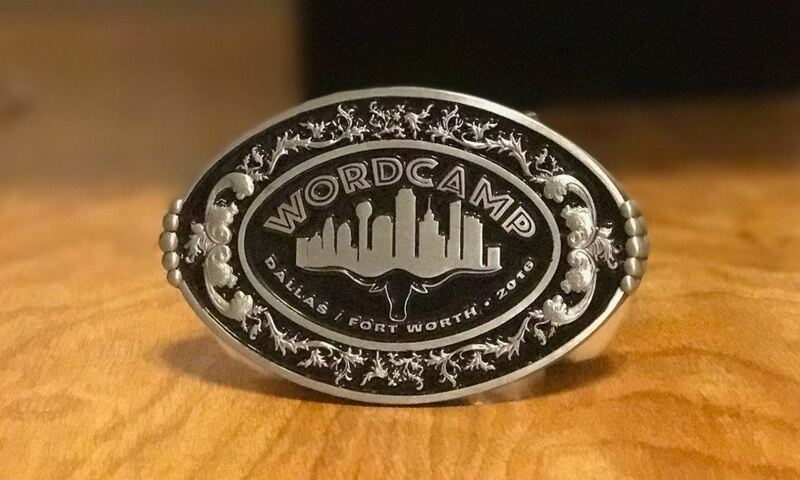 I’ve got my DFW belt buckle ready to go, DFW here we come. PS: Texas has some great BBQ. Of all the BBQ, my favorite BBQ is Texas BBQ.